With Creative Solutions Los Angeles, Vitec seeks to “outfit, educate, and support customers looking for assistance to configure their rigs and learn more about the ways emerging technology can boost their effectiveness on set”. Naturally, the showroom will also be a place to try these products for yourself, and will also be a place where workshops on various aspects of production will be held. CSLA is located in the former Paralinx facility at 5329 West San Fernando Road, Los Angeles, CA 90039, and will be open from 9am to 5pm Monday through Friday. There will also be a special event on September 30th focused around new products launched at IBC from Paralinx, SmallHD and Teradek. “The Paralinx team has always prided itself on being deeply embedded in the LA film production community and this new effort–in coordination with the talented teams at Teradek and SmallHD–affirms our dedication to direct interaction with content creators in the busiest production hub on Earth,” said Greg Smokler, Co-Founder of Paralinx and General Manager of CSLA. You can visit the Creative Solutions LA site for more at www.ShopCreativeSolutions.com, though it’s worth noting that it still appears to be under construction. LOS ANGELES (September 8, 2015) – Vitec Videocom’s Creative Solutions unit today announced it has opened a showroom in Los Angeles to allow industry professionals hands-on experience with products from Paralinx, SmallHD, and Teradek brands. 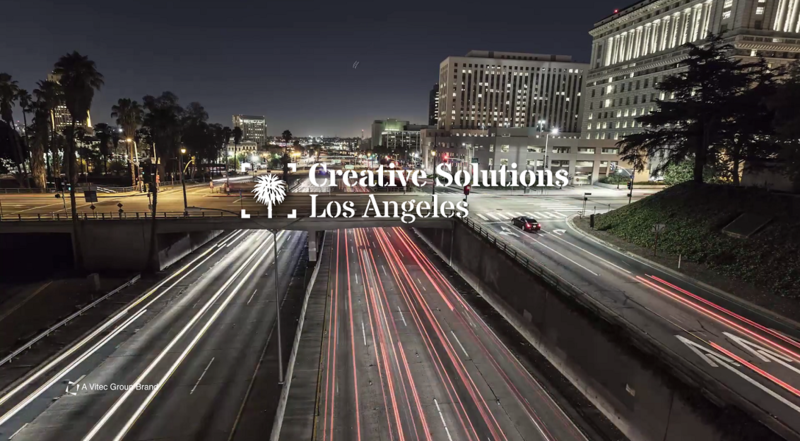 The focus of this new showroom – dubbed Creative Solutions Los Angeles (CSLA) – will be to outfit, educate, and support customers looking for assistance to configure their rigs and learn more about the ways emerging technology can boost their effectiveness on set. Additionally, the CSLA showroom will feature a wide array of products from the Vitec Group’s arsenal of film equipment brands. Trying to configure your camera as a handheld rig providing real-time wireless monitoring while simultaneously streaming to the web? The knowledgeable staff at CSLA is available to show you all the various options and inform you of the best gear for the job. The CSLA showroom is housed in the fully re-designed former Paralinx facility located near the I-5 and 134 freeways, at 5329 West San Fernando Road, Los Angeles, CA 90039. In addition to providing expert advice and support, the CSLA location will host a series of educational workshops focusing on different technical aspects of content creation. CSLA will be open 9 a.m. to 5 p.m., from Monday through Friday, and invites all interested industry folk to stop by for a look anytime. All those curious to see which new products are being launched from Paralinx, SmallHD, and Teradek at the IBC trade show in Amsterdam (Sep.11-15) are encouraged to attend a special event at CSLA on September 30th. Contact info@shopcreativesolutions.com for more details.